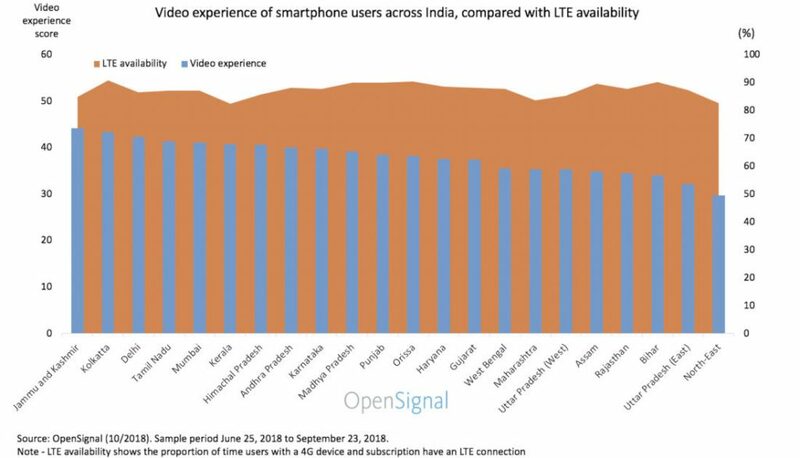 OpenSignal today published a new analysis on the state of mobile video experience in India which overviews the performance across various regions in India including Mumbai, Tamil Nadu, Delhi, Kolkata and Jammu, and Kashmir. This said regions provide a best mobile video experience compared to the 22 regions where it assessed. The OpenSignal’s video experience metric is derived from an International Telecommunication Union (ITU)-based approach for measuring video quality. OpenSignal’s tests sample video at multiple resolutions accessed from multiple content providers, focusing on three main criteria: the load time before the video begins playing, the stalling rate characterized by stops and stutters in the video playback, and the level of picture resolution. 4G availability experienced by smartphone users ranges from 82.6% in the Kerala region, an impressive 90.9% in Kolkata. For high-quality mobile streaming, operators must be able to support a consistent end-to-end performance across their infrastructure and having a good LTE radio signal is not enough. It’s critical there are no weak links anywhere or the consumer mobile video experience will take a toll. 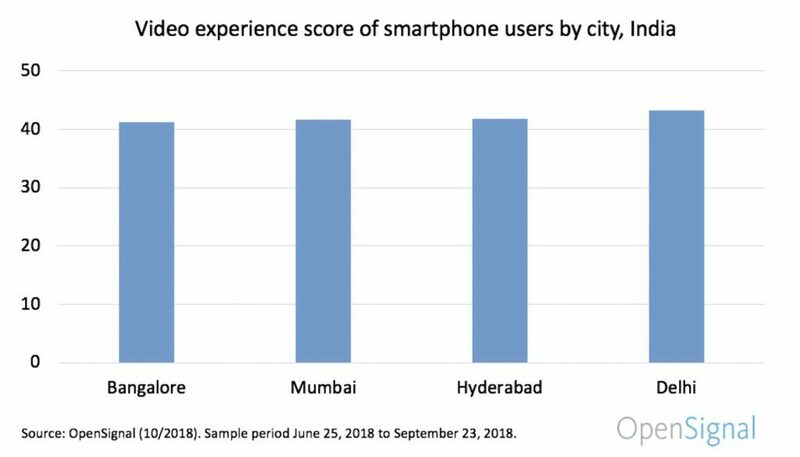 Smartphone users enjoy the best mobile video experience in Mumbai, Tamil Nadu, Delhi, Kolkata and, Jammu and Kashmir with scores over 41 on OpenSignal’s new mobile video experience measure. Additionally, both Kerala, and Jammu and Kashmir rate high for mobile video experience than other 4G areas. The arrival of Reliance Jio has boosted 4G LTE adoption across India and spurred other operators to respond to Jio’s innovation and disruptive strategy. OpenSignal’s mobile video experience measure enables consumers and operators to assess the real-world experience of watching mobile video. 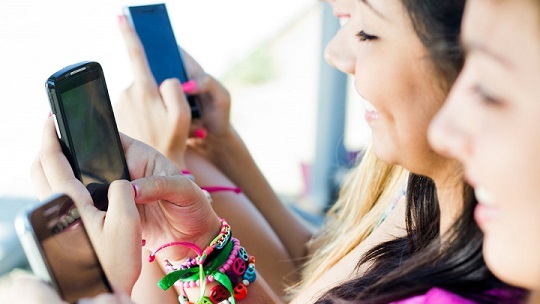 To succeed with a high score, operators must ensure there are no weak links anywhere in their infrastructure which could affect mobile video delivery to smartphone users.